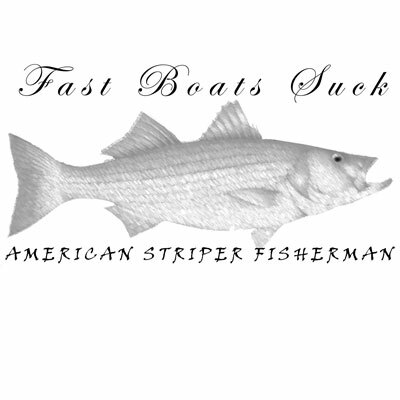 Here are some custom striper fishing t shirts that I've designed. 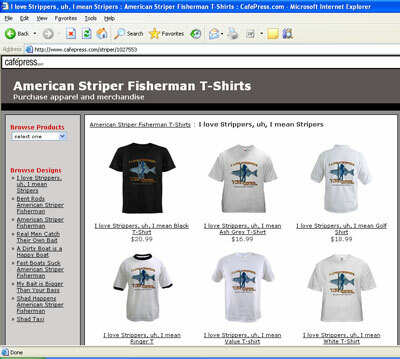 The following striper fishing shirts are high quality and are direct-press, NOT heat press, so the quality is impeccable. 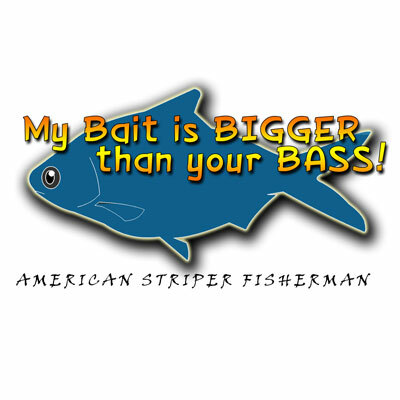 I offer these striper designs in t shirts, sweatshirts, hats, coffee mugs, mouse pads and other cool stuff. If you're interested in purchasing a shirt, just click any of the graphics and you'll be transferred to my online store where all designs and products are offered in one location. HAVE FUN AND THANKS FOR SHOPPING! 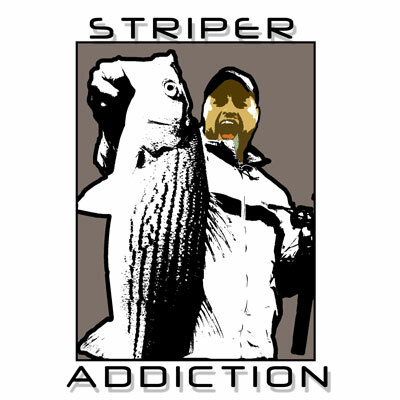 Possibly offensive to some, but definitely my best-selling striper T shirt. 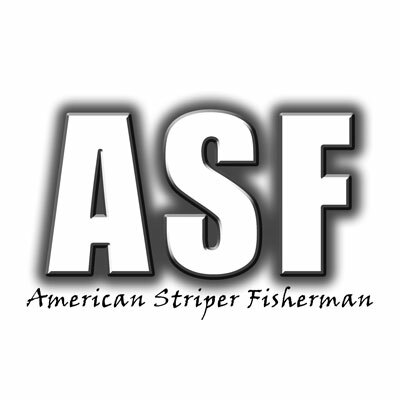 For Smith Mountain Lake striper fishermen. 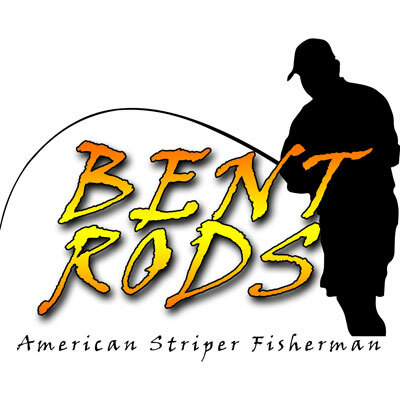 Simple, but its clean and shows the power of a striper. My Bait is Bigger than your BASS! 'Nuff Said. 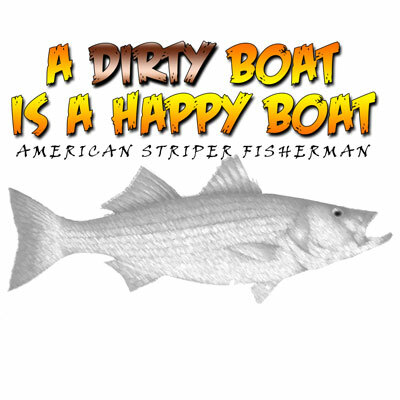 Beware of a striper guide if his boat is clean. Kinda like " Don't trust a skinny cook"
I fished out of slow, jon boat for years and I hated those boats that passed me going 80mph. 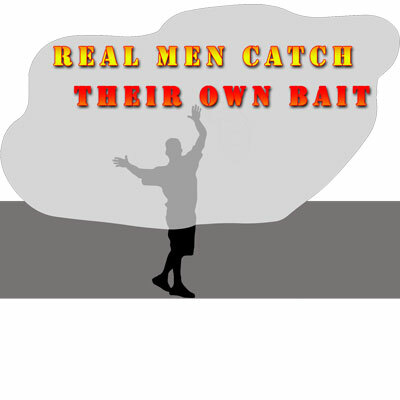 Some people buy bait and then some people catch their own.